Reputation management for dentists has greatly evolved over the past few decades. Where you once typically received feedback in the form of comment cards and word-of-mouth praise (and disdain) has now transformed into mass feedback in multiple public spaces, through the help of the internet. Even if your practice doesn’t have a website (and if that’s the case, you need to give us a call at TNT Dental today! ), your practice is online… and, people are talking about it. You have two choices: put your head in the sand and ignore it, or embrace the shift to digital and find out what you can do to stay active online, engage with the customer base and build a good reputation with your patients. Not sure where to begin? For starters, take a look at your online presence. 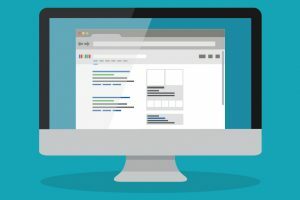 Do you have a Google My Business page? How about Facebook, LinkedIn or Yelp pages? It takes more than just having a website; you have to expand your horizons, if you haven’t already, to include social media into your overall marketing plan. If you remember from our “Social Media Marketing for Dentists” article, your social media presence can build your online reputation. Once you have your social media business pages established, then it’s time to start asking your patients for referrals and reviews. For instance, if you have a Google My Business page, writing a review is as simple as your patient finding you on Google and then selecting “Write a Review” in the “Reviews” section. If you want to go with a Facebook page, patients can provide feedback in the form of a rating system (one to five stars) and/or commentary. Both instances allow you the opportunity to respond to feedback, which displays a commitment to transparency and accountability. Reading online reviews is one of the top methods customers use when deciding on which product or business to use. According to Inc.com, “91 percent of people regularly or occasionally read online reviews, and 84 percent trust online reviews as much as a personal recommendation.” That’s why getting those reviews are key to building your online presence, and by default, your online reputation. 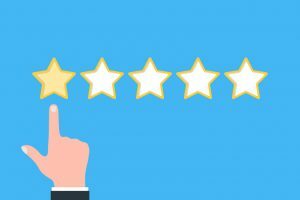 You can rack up all the five-star reviews you want, giving you credibility among your patients, but there will always be detractors in your midst. 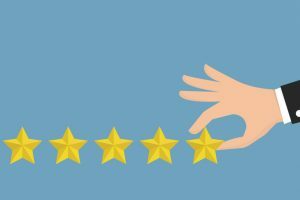 Now, you might not lose your business completely if you have one bad review, but it certainly will not help your reputation. While some people might not ever be satisfied, it is your job to make sure you address their concerns and complaints; it’s this test of your mettle that will show your patients that you stand by your word and are committed to making wrongs right. Your patients are taking the time to share their thoughts about your practice; it’s only fair for you to take the time to review and respond to them. Your brand is only as good as your reputation. It’s enticing to just want to respond to your positive reviews. I mean, who doesn’t enjoy having praise heaped on them; it’s easy to thank your patients for giving you stellar feedback. Those positive reviews on their own help sell your business. You don’t to do much to enhance those! The real test is how to handle those patients who aren’t happy, and take their dissatisfaction online. How you address your critics shapes your online reputation; it tells your patients (both potential and existing) that you hear all your patients’ voices and are willing to do whatever it takes to rectify a situation. A bad review can come in the form of low ratings and/or comments. 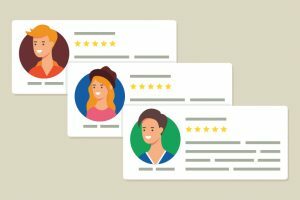 If you have someone giving you a one or two-star review, it’s best to personally message them, find out how you let them down and work to resolve the situation. That alone can help turn a negative rating into a higher one; people just want to know they’re being heard. Handling negative comments is a different animal, and requires a bit more finesse. Step one of managing your reputation is being aware of what’s being said about you. If you don’t have someone monitoring your online presence for comments good and bad, you can’t address it, right? You also need to have a plan in place for addressing this kind of feedback. It needs to be centralized through one person who acts swiftly, although you can have multiple people keep their eyes out for online comments. Finally, you have to take action. 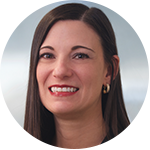 In taking action, it’s important to analyze the complaint and note the validity of your patient’s points; if you all made a mistake, this is the time to own it – it instills accountability. Resist the urge to delete the message; all that does is show a lack of accountability and transparency. In this era of screenshots, that will resurface somewhere else and you’ve lost all credibility with your patients. Consider bad reviews as opportunities to improve. Think of it as a way to resolve a situation in such a way you take the negativity and turn it into a positive for that patient! Finally, make sure to follow-up with the patient. If you’re addressing their issue, give them a number or email address where they can reach you, and keep the lines of communication open. The goodwill you’re extending lets them know you’re dedicated to making their situation right. Managing your reputation is almost a full-time job in and of itself. You can’t run your practice, tend to your patients and address your online presence every day. That’s why it’s important to call in help like TNT Dental. We can create a marketing strategy that incorporates a strong online media presence, and you can task one of your staff members to dedicating themselves to being your social media voice. It’s a team effort here, and your team is never alone. Give us a call at TNT Dental today for help! Tim Healy is one of the founders of TNT Dental, the #1 creator of custom websites and marketing strategies for dentists. Recognized as a leading expert in helping dental practices attract new patients, Tim has a true passion for teaching dentists the important “business stuff” they do not teach you in dental school. If there is anything Tim can do to help you, please do not hesitate to contact him directly at the office, (877) 317-4885, on his cell, (214) 680-1270, or via email at tim@tntdental.com. Of course, you can always visit www.TNTDental.com to learn more. I want to talk with Tim!